Advanced Laparoscopic Surgery, PC Blog Are You a Candidate for a RNY Gastric Bypass? Nearly a quarter million people underwent gastric bypass surgery in 2017, according to the most recent statistics from the American Society for Metabolic and Bariatric Surgery. For those men and women, bariatric surgery not only helps them lose excess weight, but it also helps them lead healthier lives moving forward. That’s because being obese or overweight is associated with several serious medical problems, including heart disease, high blood pressure, type 2 diabetes, hormonal problems, depression, obstructive sleep apnea, and even some types of cancer. Of all the types of bariatric surgery, Roux-en-Y gastric bypass — often referred to as RNY gastric bypass — is among the most popular. 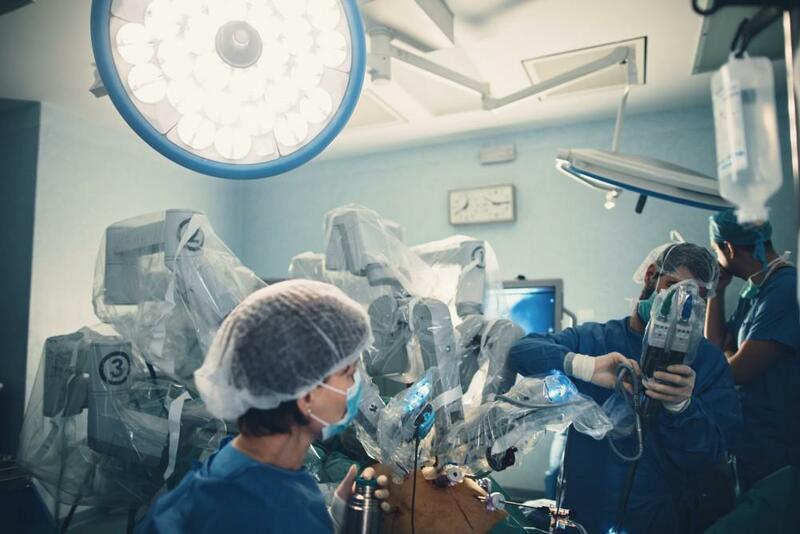 At Advanced Laparoscopic Surgery, PC, we use the most advanced approaches to RNY gastric bypass surgery to ensure patients enjoy the best possible outcomes for effective weight loss and long-term benefits for their health and wellness. Here’s how to tell if RNY surgery could be a good option for you. RNY gastric bypass surgery helps you lose weight in two ways: First, it reduces the size of your stomach so you feel full faster, which means you wind up eating fewer calories. And second, the bypass portion means food “skips” a part of the intestine, reducing the number of calories that your body absorbs. Dr. Chengelis performs the surgery using a minimally-invasive approach called laparoscopy. At the beginning of the surgery, a very small incision is made in your belly. Dr. Chengelis uses the incision to insert a laparoscope, a long, flexible tube that has a very tiny camera attached to it. The camera sends real-time video to a monitor so Dr. Chengelis can “see” inside your body and perform the surgery without making a large incision. The surgery itself involves two basic components: First, your stomach size is reduced to a small “pouch,” about the size of a ping-pong ball. Next, he reroutes your small intestine, attaching it to the end of the small pouch while bypassing the main part of your stomach. The complete operation typically takes less than two hours, and it’s performed under general anesthesia, which means you’ll sleep through the entire surgery. Afterward, you'll need to follow a liquid diet for a couple of weeks, and you'll meet with a nutritionist to set up your new eating plan. You'll be able to get up and move around soon after your procedure (in fact, you'll be encouraged to do so). Dr. Chengelis will be able to help you decide when it's okay to return to work and other activities. Are you a good candidate for RNY surgery? Those are the basics, but there’s one more important component you should consider before undergoing surgery. Bariatric surgery changes the way you eat, and it also involves a lot of lifestyle changes. You won’t be able to eat as large of portions at mealtimes, and you’ll need to get used to eating smaller meals more frequently. You’ll also need to commit to seeing your doctor regularly for checkups. Because RNY bypass surgery can affect the way your body absorbs important nutrients, you’ll also need to take supplements to ensure your body gets all the minerals, vitamins, and other essential nutrients it needs to stay healthy. If you’re significantly overweight and dieting and exercise have failed, RNY gastric bypass surgery might be a great option to help you lead a healthier life. To learn more about RNY surgery at Advanced Laparoscopic Surgery, PC, contact the practice today.